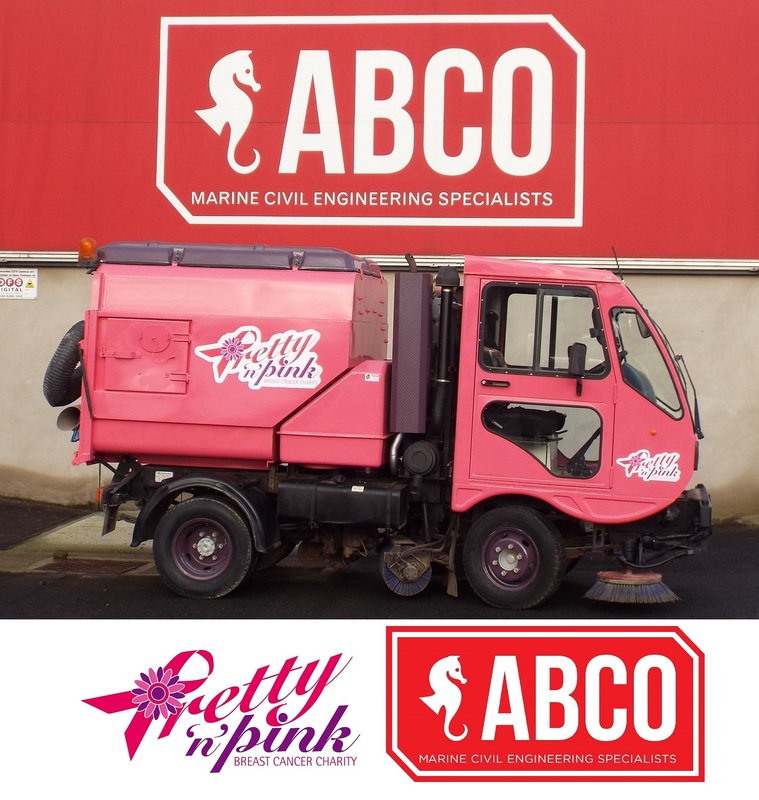 ABCO are delighted to be associated with the Pretty 'n' Pink, our chosen charity for 2018. To help raise awareness of the charity, we have purchased a scarab road brush to support our civil engineering operations, this has been specially painted pink with the Pretty 'n' Pink logo attached. We would like to acknowledge the support of Graham Plant Painting in Banbridge who generously assisted in the paint spraying. Founded in 2006 by Belfast woman Noleen Adair, Pretty 'n' Pink operates within Northern Ireland and is run by a very small team of people and local volunteers from across the province, with all of their work funded through donations and fundraising. Pretty 'n' Pink are the only registered Breast Cancer Charity in Northern Ireland and all money raised stays within Northern Ireland supporting patients with Breast Cancer. Noleen Adair the founder unfortunately passed away on 26th June 2014 aged 35. Noleen was diagnosed with breast cancer at the age of 22 and knew herself what a patient with Breast Cancer needed when they received a diagnosis. Pretty 'n' Pink provide financial and other support services to patients with breast cancer and their families through a charitable Support Fund, social outings, and an online support group. The charity also helps advance education of breast cancer awareness and breast care awareness through information provided on the website and from literature produced and distributed by the charity.